Two people were sent to hospital in unstable condition after a two-vehicle crash on Route 90 Thursday morning. 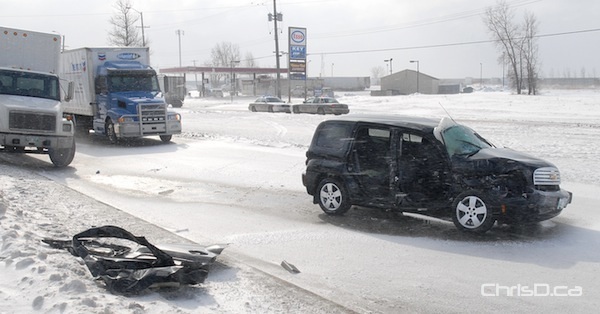 The crash happened at about 9:30 a.m. between Selkirk Avenue and Oak Point Highway. Winnipeg police closed part of the roadway while investigating the collision between the car and a truck. The occupants of the vehicle have since been upgraded to stable condition. No word on what led to the accident, but road conditions were poor at the time.